While we all use social media, chat rooms, and email to communicate, the way people use these outlets around the world differs. Like many global companies, dataPlor faces the challenge of building cross-cultural brand awareness. Through previous marketing tactics and customer service efforts, we’ve learned that communication norms in Latin America differ from successful techniques used to target a US-based audience. 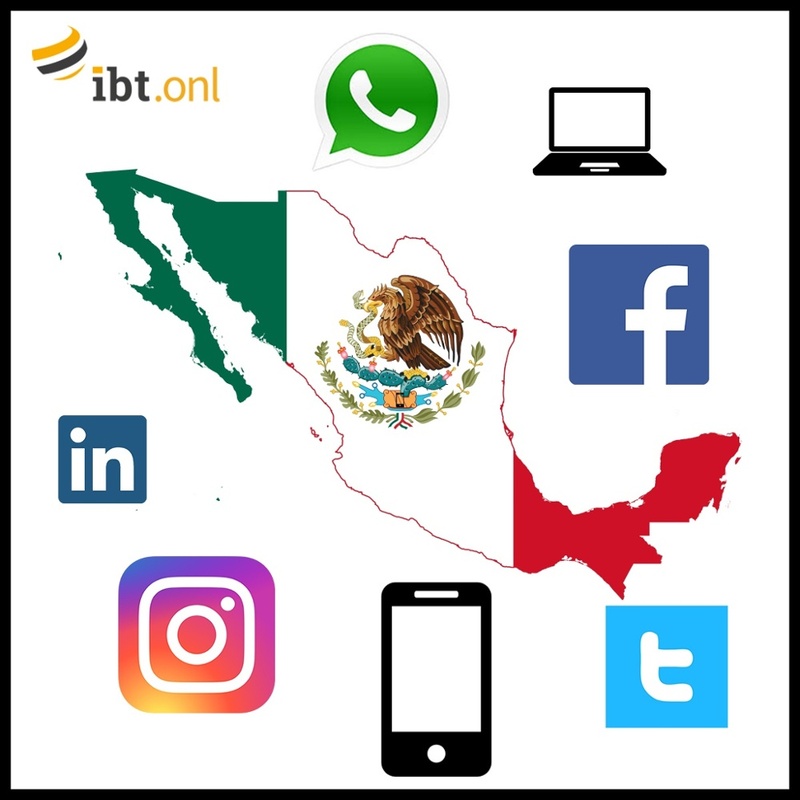 Based on our experiences, we know that most Mexicans prefer getting their information through easily accessible social media platforms rather than going online and visiting a company’s website. When writing to a Mexican audience, to be most impactful, keep social media posts brief yet informative. At dataPlor, we have noted that in the past when we have posted content geared towards our Mexican audience or reached out via email, we often received comments saying “Info,” meaning they have not visited our website or read through the content in its entirety. 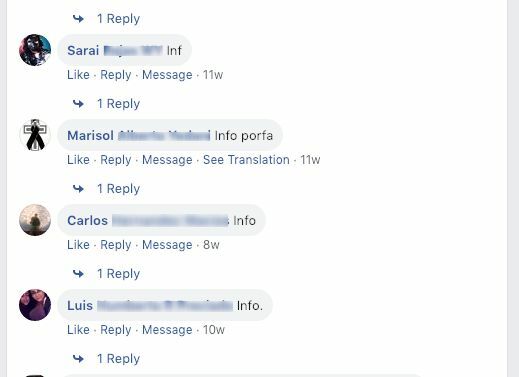 The image below shows the comments on a dataPlor ad published on Facebook. Historically, our target audience has not been likely to click links, use a search engine, or research more about a company in the same way Americans tend to. Here’s what’s interesting about how people use online chat in Mexico: according to both our Mexican clientele and employees, people in Mexico still prefer face-to-face customer service. Most local companies have support centers instead of contact centers to help customers while the majority of the American population would prefer to make a phone call or exchange a few emails from the comfort of their homes. Thanks to the companies that offer multi-channel solutions to communicate with their customers, a global company may yield more marketing success by introducing more personalized channels. “We don't appreciate having to read a lot. We don't like to visit pages and scroll to get info. We can't stand having to wait for someone to send us an email” said Aldo Bucio, our General Manager in Mexico. “We believe we can get what we need by engaging with the person on the other side and, hopefully, getting them to understand our unique situation and come up with a creative way of fixing it,” he said. Our experience has proven that most Mexicans would prefer to talk to a live person, right then and there. With this in mind, dataPlor’s live chat feature for our team of 35,000+ Explorers allows live, personal support rather than an online chatroom. Our takeaway here is that companies’ FAQs and help sections featuring articles will only help so much. Long blog posts will go unread. Marketing posts on social media will be flooded with "info" replies despite the relevant information often being included. We realized our marketing strategies for Mexico needed to find a happy medium between giving our audience quick information while sparking interest for people to learn more. Instead of publishing lengthy articles, it is most efficient when posts contain clickbait information to foster interest in our company and encourage consumers to dig in and learn more. When contacting people, we typically send out lightweight teaser emails, followed up with more substantive materials. We’ll try and get a meeting either in person or on the phone as soon as possible. Face-to-face contact has been more successful for us. dataPlor developed robust local customer service and enterprise sales team. In social media marketing, we plan for a hands-on approach with lots of outreach. Both our Explorers and sales and marketing teams dedicate time to understanding these cultural nuances by interacting with locals in their native language and being mindful of different cultural norms. A recent article from the New York Times exposed the practice of unethical location data gathering from smartphone apps. In short, apps on consumers’ smartphones are secretly collecting location information which is being sold to companies without consent.